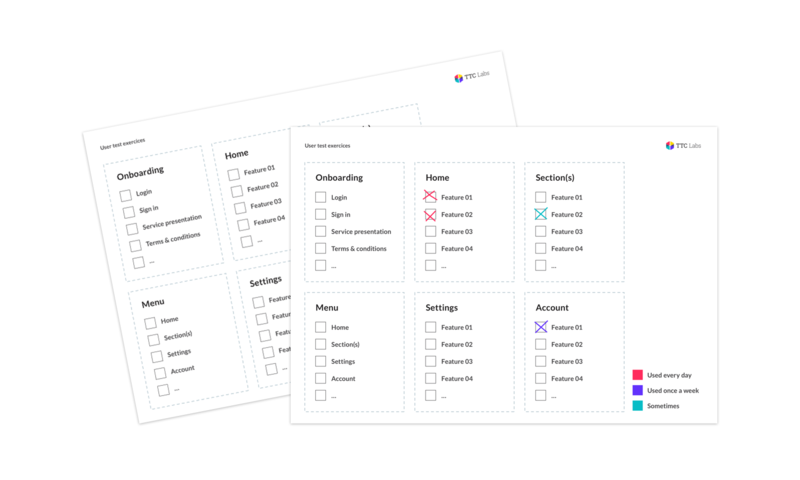 A template to help you identify what you want to get out of user tests and how to run them with available resources. Using our toolkit or your own methods, you've identified areas of your product that you need to address in order to take your prototypes to the next step. Whether you need to get clarity around assumptions and questions you've mapped or test a prototype you think might be the answer, the best way to get an answer is to test them! 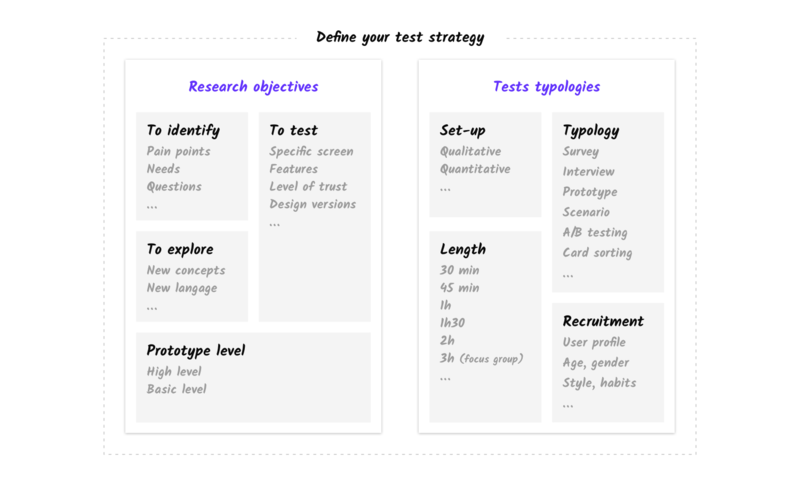 This template will help you identify what you want to get out of user testing, what to test and how to run them with available resources. Using our user-tests strategy guide, identify what you want to get out of those tests and map the ressources at your disposal to get there. From there, you will be able to choose the right type of tests you want to run and within what set-up : will your tests be individual or in groups? How refine will your prototypes be : low key or fairly advanced? Who is the audience you should address? Working from this plan, now is the time to start organising the test sessions. No matter how big the sample, whether you've chosen to conduct qualitative or quantitative testing, make sure it's representative of your audience, from average to extreme users. You can learn more about your users and turn them into personas to work from when using our toolkit. 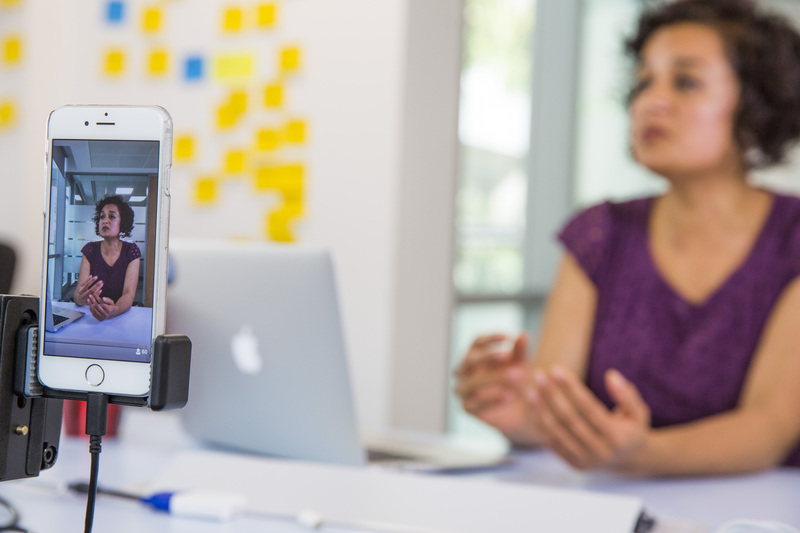 Whether you are conducting a test with a prototype and looking for ways to make sense of the feedback you get, or whether you need to find out more about your audience before you can even iterate on the designs, our capturing assets tool will help you gather insights in a format that you will be able to leverage. Download the captation assets from our library and choose the one that suits you best. 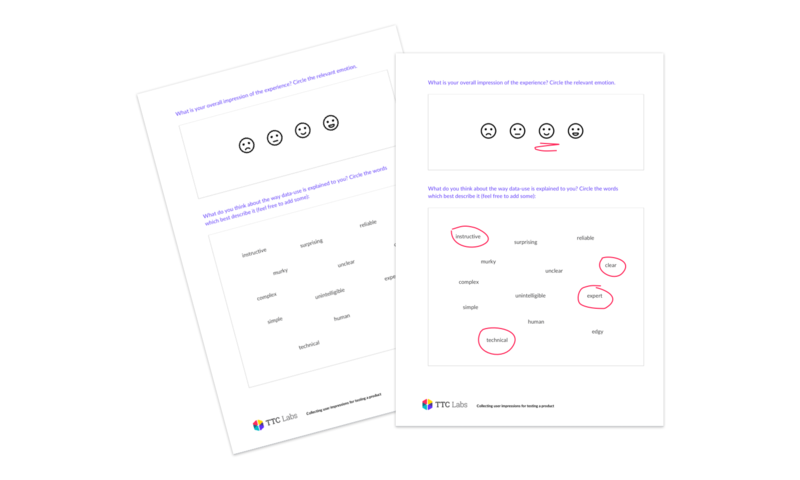 This tool will help you record how people feel when using your service and how they would qualify their feelings as to how their personal information is used in it. This tool will help you assess which features people actually use within your service and therefore do a data collection check-in. Are you collecting any unnecessary personal information? This tool will help you understand people's sharing preferences and sensitivity when it comes to their personal information. 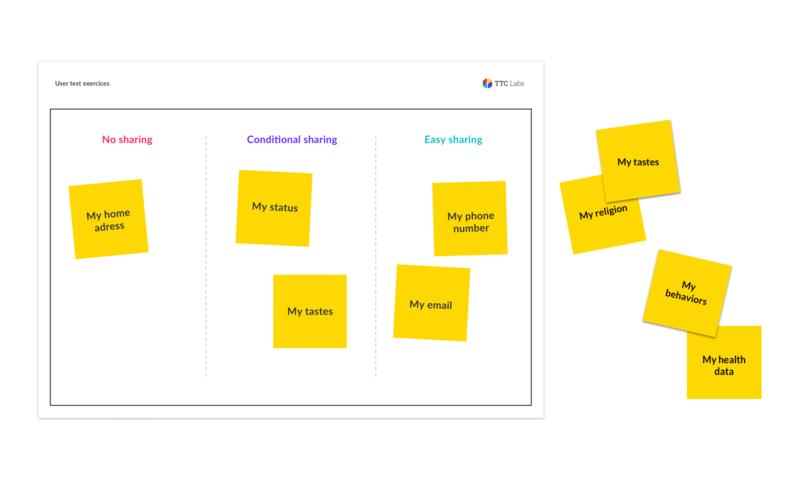 Prepare one card per type of data you use, then ask participants to place each of them into the category that feels right to them: data they would not share, data they would share depending on the conditions, and data they would easily share. Don't forget to discuss the reasons behind each of these choices. You can come up with diverse capture tools in order to explore the topic of data use in a way that suits your needs. Let us know about yours! 4 Ship your survey or run your session!